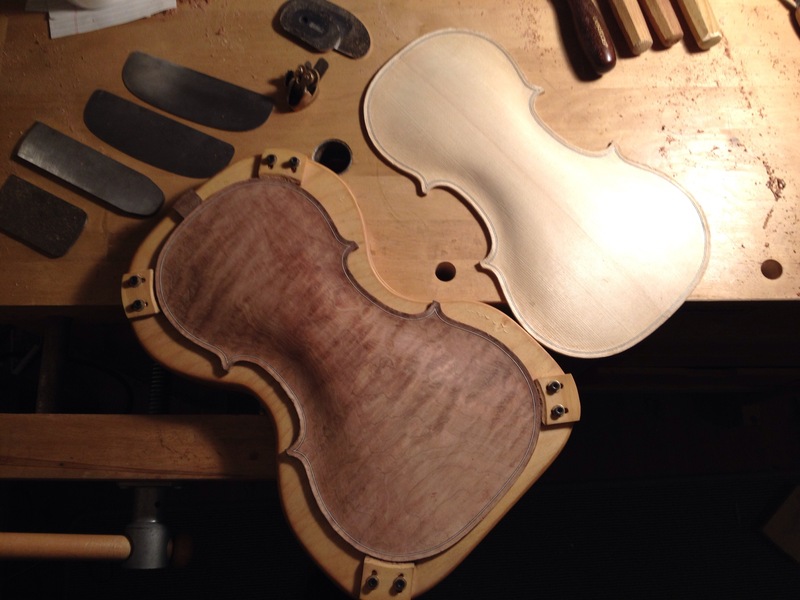 Check out some recent pictures of the first of the two Stainer 1679 violins being build in my current projects. The pictures focus on areas where i’m paying more attention or trying out new methods! The shape of the outside of the plates is now set. I’ll double check the flow of the Purfling channel to make sure there aren’t any bump and then move on to the hollowing. I used only finger planes, gouges, chisel blades, and scrapers to achieve the finish.